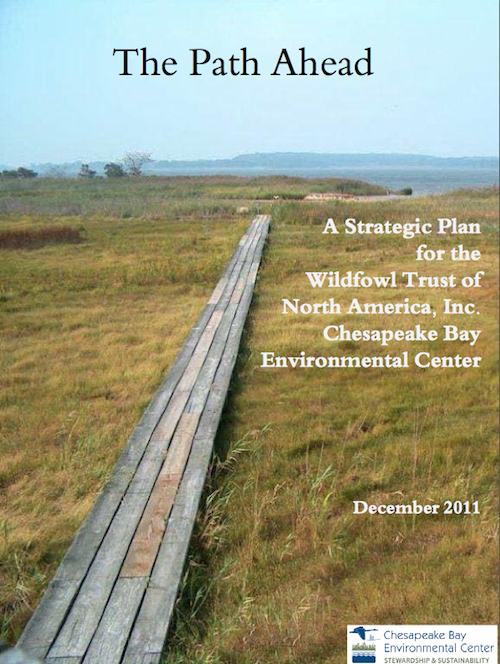 The mission of the Wildfowl Trust of North America, Inc. and its physical site, the Chesapeake Bay Environmental Center, is to promote stewardship and sustainability through environmental education and habitat restoration. The Chesapeake Bay Environmental Center will serve as a model of environmental sustainability throughout its programming and operations while instilling a stewardship ethic through participation in multi-disciplinary, restoration-based educational experiences. To see the full plan, click the picture below to download.